The engineering practice of Martin Manuhwa is in energy, construction projects, worksite project implementation and management. He taught part time and still supervises MBA graduate students at the University of Zimbabwe. His research interest is in the use of Management Information Systems in construction and project management and he is pursuing a Doctorate at the University of Cape Town (UCT) in that field. He sits in the advisory Council of the London based Global Infrastructure Anti-Corruption Centre (GIACC). Martin Manuhwa is the President of the Southern African Federation of Engineering organisations (SAFEO). He is chairman of the Engineering Council of Zimbabwe (ECZ). He is a past president of the Zimbabwe Institution of Engineers (ZIE). He also sits in various boards at home and abroad. Martin Chairs the Engineering Industry Sector Committee for the National Manpower Advisory Council (NAMACO). He is the Managing Director of Zimbabwe Africa Infrastructure Development Group (ZAIDG) a company that specialises in Engineering Procurement and Construction Management (EPCM). ZAIDG is the Zimbabwean partner of Hatch Goba Africa (Pty) Ltd, an international multi-disciplinary and multi-sectoral engineering consultancy delivering infrastructure, mining and metals, and energy projects using world-class practices and processes. 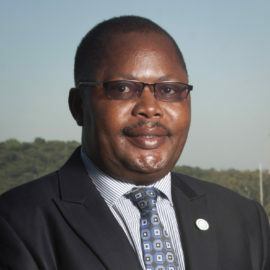 Since January 2019, Martin Manuhwa is president of the Federation of African Engineering Organisations (FAEO).